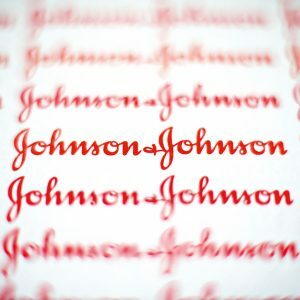 Johnson & Johnson (NYSE: JNJ) and its talc supplier have been hit with a $37 million verdict in a lawsuit over the healthcare giant’s talc powder products. A jury in Middlesex County Superior court awarded the compensatory damages to Stephen Lanzo III of New Jersey and his wife. The jury’s decision awarded Lanzo $30 million and his wife, Kendra, $7 million. According to the court complaint in the civil case, Lanzo was exposed to asbestos though J&J baby powder from approximately 1972 to roughly 2003. In 2016, he was diagnosed with mesothelioma, an aggressive form of cancer that develops as the result of asbestos fibers. Asbestos was commonly used as insulation in factories, shipyards, and homes. J&J’s and Imerys’s lawyers denied the company’s products had ever contained asbestos. However, Lanzo’s lawyers submitted multiple internal J&J and Imerys documents that showed officials of both companies were worried that asbestos was tainting its products as early as 1969. Tests conducted by J&J research scientists at that time found asbestos in talc used in the company’s baby powder. The decision comes after more than two months of trial. The trial was held in a court located less than a mile from J&J’s headquarters. The verdict was delivered relatively quickly, coming on the seven-woman jury’s first full day of deliberations. Under New Jersey law, jurors had to determine the amount of responsibility J&J and Imerys bore for Lanzo’s injuries. J&J was found to be responsible for 70 percent of the damages, while Imerys SA, the company’s the France-based talc supplier, was found responsible for the remaining 30 percent of damages. The jurors will return on Tuesday to decide whether to award punitive damages. This was the first trial loss for J&J in a lawsuit over claims that talc products contain cancer-causing asbestos. A California jury ruled in November that the product wasn’t responsible for causing a 61-year-old woman’s cancer. Carol Goodrich, a J&J spokeswoman, said in an emailed statement, “While we are disappointed with this decision, the jury has further deliberations to conduct in this trial and we will reserve additional comment until the case is fully completed.” Gwen Myers, an Imerys spokeswoman, said Imerys will appeal. J&J is facing other court cases that charge its talc-containing products can cause ovarian cancer. About 6,600 women have sued the company, blaming the powder for causing their ovarian cancers.